Response to astonished subscriber; Didn’t Japanese real estate prices fall for over 30 years? 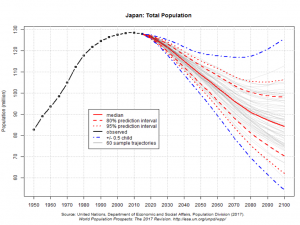 Japan’s demographic trends are moving in the opposite direction to the rest of the world. Ask yourself, where are all these people going to live? The cities are filling up fast. Asset prices to rise? Same trajectory as Japan? Correct me if I’m wrong, but didn’t real-estate prices in Japan tumble over 30 yrs ago, and still haven’t really recovered? Deflation is also an on going problem there as well? I get it. Chris is not alone in his thoughts. If other central banks elsewhere around the globe try to copy the BOJ’s actions, why should they attain anything better? After all, Japan has been shrinking for decades. I get other similar emails as well. I understand that people are astonished with what I write. My email database continues to shrink and the bandwidth fades. Unfortunately, I have been correct so far and I will be in the future. I understand that what I say doesn’t conform to any other source I come across. Yeah, this stuff is a fait accompli and people do not want to hear that; it makes many feel powerless. It’s too depressing. First, if you are reading this then you probably already assume that bond yields are going to continue to fall. I have been talking about how bond yields would move lower since I started this blog in 2016. No “big bangs” here. Second, many presenters of Japan’s real estate data have been disingenuous and misleading. Despite Japan’s miserable demographic trends, as we will analyze further, home prices have been rising most all decade. I find that one observation a direct result of BOJ financial engineering. I am surprised U.S. house prices haven’t risen more in many areas. The growth rate in urban areas has been breathtaking. Since the great recession, the U.S. population has risen by the total population of Australia. That’s right; in many areas of the United States, real estate is a relative bargain. I run the numbers and it still makes sense. Imagine the impact of more monetary stimulus. The central banks seem to be telling us that they are going to hammer it out until it collapses and that can be in another decade. We have discussed in the past that land (not real property) prices in Japan, in aggregate, have fallen for a long stretch of time (this article shows that land prices throughout Japan fell for 26 consecutive years). Despite this, house prices have been rising. 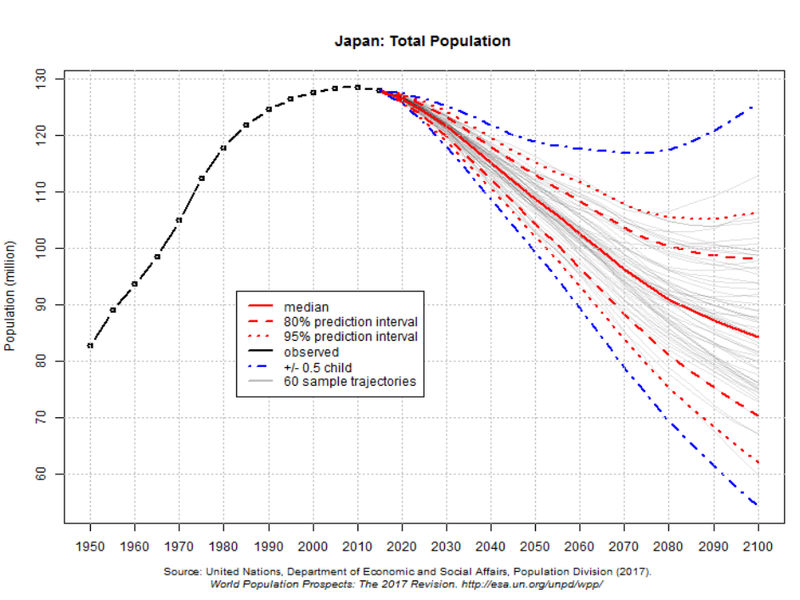 However, Japan is quite unique as we must take into account the slow death of rural Japan (which has skewed this land price data), the aging of its population, and its dire demographic trends. Japan’s population is roughly the same as it was in 1990; almost 30 years ago, and it is now falling fast. Japan has the lowest population growth of all the larger nations (209th overall). Its population has been falling since before the great recession. When Japan’s shrinking pool of young people have little hope for the future, they stop having children and don’t bother buying houses. Despite this poor backdrop, Japanese home prices continue to rise off their Great Recession lows. Here is the link to the BIS data that was used to derive the above price chart. I have been analyzing rural farm-belt house prices here in the United States (not farm land) on an ongoing basis and there are huge areas here where house prices are still selling at steep discounts to their former highs over a decade ago. Why is that? The former vibrant farming towns in the midwest have been decimated in a similar fashion to Japan. About 127 million people live in Japan. The population could drop below the 100 million mark by 2049, according to the National Institute of Population and Social Security Research. Given the terrible demographic trends, I am absolutely amazed that home prices have trended upward all decade. I tip my hat to the BOJ. Japan’s home prices may be rising, but the country still has more than 8 million unoccupied properties – so many that owners have taken to giving them away for free. Japan’s population is shrinking, with researchers predicting the loss of around 16 million citizens in a little more than two decades. Its residents are also trending older, meaning there are fewer young people trying to nab property – particularly in suburban or rural areas. The phenomenon has carried over into urban areas as well. The Japan Times reported that more than one in ten homes in Tokyo are now empty. If it weren’t for the BOJ and its heavy intervention, prices would have dropped even further. There is very little immigration into Japan and it still is a relatively closed society. I know it’s easy to read the dire news stories regarding Japan and their asset bubbles. I get it. It’s easy to extrapolate its results with other nations. One more thought that I have been warning the reader; The central banks and their charlatan shills and apologists do not seemed to be as concerned about asset bubble formation like they once were as recently as six months ago. I observe their behavior and I am concerned that they are going to attempt to massively inflate asset prices. Should we preorder our Dow 30k hats? Once again, I apologize to my readers. The world is a grim place and will only get worse and what I write doesn’t make us feel any better. I came across an article from this weekend’s edition of Barron’s titled, The Federal Reserve Faces a Reckoning, and wanted to share it with you. It is behind a paywall, so I copied the article to the website. My first thought while reading it was how the article’s quoted experts all seemed at odds with how to proceed. At the core of the issue; the Fed needed to act in a way that was most fair. This is a branch of economics called normative economics. But the experts who were quoted couldn’t come to any consensus. This ostensible confusion was the intended message of the author. It helps to ensure the existing agenda will move forward. Normative economics (as opposed to positive economics) is a part of economics that expresses value or normative judgments about economic fairness or what the outcome of the economy or goals of public policy ought to be. Martin Wolf, the Financial Times’ economics writer, contended this past week that “monetary policy has run its course,” having done all it can to fight secular stagnation, the state of persistent inadequate demand hypothesized by Lawrence Summers, the former head of the National Economic Council under President Barack Obama and Treasury secretary under President Bill Clinton. Persistently low interest rates aren’t artificially depressed by central banks but by the low level of real rates needed by the economy, Wolf continues. With monetary policy having reached this apparent cul-de-sac, Wolf contends fiscal measures are needed to counter insufficient demand. Taken a step further, this argument extends to adopting Modern Monetary Theory [MMT], which essentially argues a nation that can borrow in its own currency isn’t limited by the size of the debt. If inflation heats up, fiscal policy can be tightened. 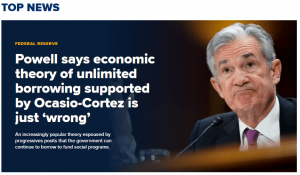 Powell dismissed MMT as “just wrong” in recent congressional testimony, an opinion shared by the overwhelming majority of mainstream economists, even as it gains adherents on the left. Here’s the odd thing about Powell’s rejection of MMT; he didn’t reject it as a policy tool, rather he rejected the notion that the Fed was engaging in it. I say, of course it is. The business media have done an effective job in politicizing the matter by making it a left/right issue. But, at the end of the day, any central bank that is engaging in sovereign debt purchases is employing Modern Monetary Theory. Jerome Powell’s MMT rejection was so adamant that most experts in the field agreed with him. Wolf still conjures up the idea that bond yields are somehow determined in a free market. He cannot yet admit that the central banks have artificially suppressed the yield curve. As a writer for the FT, he is not allowed to have that view. He chalks up the current low regime of interest rates in the bond markets to the low levels of equilibrium rates needed to stimulate the economy and that it was not a by-product of monetary policy. Even more disconcerting; there is a sizable consensus that the Fed has been too tight and that is helping to keep longer-dated bond yields too high. I think you see the confusion that has been planted. Many researchers are now predicting that enormous doses of fiscal stimulus will be needed going forward. You can see that all these programs were what caused the problems in the first place. Even if liberals/socialists can convince the population that fiscal and social deficit spending are the preferred normative policy, the results will be toxic as the prices of assets will continue to climb and the intended beneficiaries of this social spending will continue to fall further behind. I say that without the central banks engaging in ongoing MMT, the credit markets would have collapsed a decade ago and they never would have been resurrected without a new monetary system. The elites, however, are not ready to introduce that new system. The current one fulfills all their needs. As far as what will happen in the future, I see more of the same. I view the monetary policies of Japan as a template of what will come to the rest of the developed world. The BOJ’s monetary policy is the very definition of MMT. The BOJ conjures up any money that is needed for the Japanese government to stay in business without upsetting its citizens. MMT is alive and well and all the major central banks are engaging in it. Just because the business media frame MMT as a liberal idea, doesn’t make it so. I see more of the same coming, so we better plan for this reality. Politics have nothing to do with it. It’s all designed to consolidate the global wealth. Since the new year, the business media have been working with the elites and the central banks to reframe the monetary stimulus issue for the investment community. The bottom line; get ready for more QE. We need it and the central banks stand ready to save us. Feeling panic? In a few years, Sydney real estate prices will look like a bargain. The central banks are ready to inflate asset prices once again. Yesterday, Bloomberg wrote an article that was picked up by The Japan Times, Bank of Japan’s never-ending monetary stimulus offers lessons for the world’s central banks, and it is telling us where the developed world is heading. What I find funny about the authors’s observations is that much of proposed policies, including yield curve control, are already in use in the U.S. and Europe. Central bankers searching for options to fight the next downturn should look to Japan, where policymakers are gathering for a regular review of the world’s most epic monetary stimulus program. The Bank of Japan’s two-decade journey from zero interest rates to massive asset purchases, negative rates and yield-curve control demonstrates a combination of tools that can be used to sustain stimulus — along with the huge damage that piles up when it drags on too long. As global economic growth wanes, Europe doles out a fresh round of easing and the U.S., Canada, Britain and Australia put rate hikes on hold, economists are asking what more can be done with scant room to lower borrowing costs and already swollen balance sheets. “Whether central banks like it or not, there is little choice than to venture further with ‘creative’ new strategies to reflate inflation expectations,” said Ben Emons, managing director of global macro strategy at Medley Global Advisors in New York. Yield targeting, interest-rate ceilings, deeper fiscal and monetary coordination and various forms of asset purchases should be on the radar of policymakers around the world, according to Emons. The only real solution to the global economic circumstances would be for some sort of debt forgiveness. Imagine a scenario where the central banks wrote off or retired some of the sovereign debt on their balance sheets? The Fed already returns to the U.S. Treasury, the interest income it earns on it’s asset portfolio. But this will not happen. It is not part of the plan, as that would empower the common man at the expense of the banking families. [The BOJ’s] latest experiment in yield-curve control involves pinning short-term borrowing costs at minus 0.1 percent and holding long-term rates around zero percent by operations in the bond market. The tool has drawn the attention of Federal Reserve Deputy Chair Richard Clarida amid an examination of strategy at the U.S. central bank. Clarida has noted that yield-curve control could be helpful when there is little scope for conventional rate cuts, but that it also carries the threat of expanding the balance sheet too much. But for the BOJ, which has already swallowed up 43 percent of Japanese government bonds, this tool has actually let it slow the pace of purchases and extend the life of stimulus. Its huge holdings of JGBs relative to other investors now allow it to guide rates with relative comfort. All other things being equal, the world will become a much more expensive place, even as consumer prices remain muted. Just because real estate prices will continue to move higher, does not mean that homeowners will be wealthier. Many will still lose their homes. Debt, higher property taxes, onerous local laws, and higher repair and rehab costs, will eat away at the public. Only well-funded individuals will remain. As real estate prices continue to spiral higher, more properties will be owned by corporations. The elites will never entertain any policy ideas that genuinely address the issues. The real plan is consolidation of the global wealth and we would be foolish not to see where the asset markets will move. Note: This article serves as a warning to the dollar bashers in the alt-financial media who observe a firm dollar and rising dollar-denominated asset values with contempt. It’s not too late to change your ways. 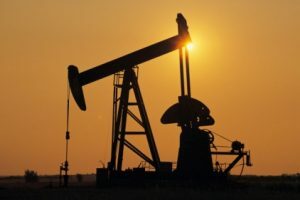 According to the U.S. Energy Information Administration, total crude output is at a record 12.2 million bpd now and is expected to reach 13 million bpd by end-2020. By 2025, the U.S. will produce about 24 million bpd, more crude and energy liquids than Saudi Arabia and Russia output put together, forecasts show. This is partly due to a huge leap in drilling efficiency, one of the many evolving wonders of the shale industry, which isn’t as talked about as the record volumes of oil being produced. Also missing from mainstream discussions on energy is the potential for Big Oil to become even bigger in U.S. shale by swallowing the smaller, independent drillers that make up the majority of the industry. I came across this article from investing.com titled, New ‘OPEC’ Of U.S. Oil Super Majors Could Seize Control Of Global Pricing, and it illustrates the huge industry growth and the rising power that the large and well-funded oil majors possess in the U.S. shale regions. In fact, the domestic energy market has grown so large in just a decade that the U.S. dollar has strengthened based on this one item alone. I see a definite longer-term relationship between the value of the greenback and the size of domestic oil production. Of particular danger to the Kingdom: oil super majors like Exxon Mobil (NYSE:XOM) and Chevron (NYSE:CVX) usurping so much production capacity in U.S. shale oil in coming years that they become as influential as the Organization of the Petroleum Exporting Countries (OPEC) in shipping to the coveted Asian markets and dictating prices there. The world got a glimpse of what that future might look like after Exxon Mobil and Chevron recently announced plans to ramp up by almost another one million barrels per day their existing production at top U.S. shale basin Permian. Exxon Mobil went further to say that it expected double-digit returns on its Permian investments, even at low oil prices. For example, at $35 per barrel, Permian production will have an average return of more than 10%, it said. As investors, we have to accept the fact that the United States has become the world’s largest and most important energy producer. I keep these numbers and facts in mind when I formulate my longer-term investment theses. I do not see how the greenback can sustain any meaningful loss in purchasing power vis-a-vis other major currencies while this dynamic continues to unfold. A Bloomberg report on Monday validated the Exxon Mobil claim, saying Big Oil companies that suffered from the 2014 market crash had learned to become more efficient. They now make profits similar to the $100-per-barrel days, because they share designs on almost everything from underwater valves to pumps to ensure standard and sustainable costs. These firms are now concentrating on economical U.S. shale patches rather than expensive far-flung projects around the world. The eight largest integrated oil and gas companies saw spending fall to $118 billion last year, down 45% from a pre-crisis peak of $215 billion in 2013. U.S. oil rig count was down 48% from October 2014, while the country was producing 36% more crude. There are just too many structural supports to the U.S. dollar and anyone telling you otherwise is foolish. While I am not sanguine on the tightening power grip of only several large shale players, I have to accept that they will help to place a floor under the U.S. dollar for years to come. Who would have thought that this turn of events from just 10 years ago was possible? If we look at the graph above I think we can spot a definite trend. It is terrible for the existing shrinking pool of small farmers who do not understand basic NWO economics and cannot stay out of debt. While the government may placate them with small subsidy handouts, the dirty work is being done behind the scenes as the large corporations pick apart the farm belt and submerge it into their vertically-integrated holdings where low farm prices are ideal. The lower their prices are for their crops and livestock, the more profit they make. Large vertically-integrated corporations want low agriculture prices, and don’t view profit the same way as the independent farmer. I came across a great article from The U.K. Guardian titled, How America’s food giants swallowed the family farms, and wanted to pass it along to you. 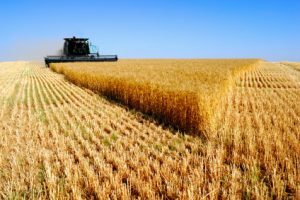 The author explains in fine detail how the large food manufacturers have decimated the farming industry in the United States. While most who are not familiar with agricultural economics will conclude that the farming industry and land prices are going to collapse, I see a huge transformation toward oligopolistic corporate control. Read the following quote from the article to get a better perspective about how the agriculture industry in the U.S. has been transformed. I take note in how the economic “shocks” have helped to undermine the traditional farming dynamic. Each shock consolidates the power of the agricultural industry into fewer hands. The next one will bring the same results. It’s done on purpose. While a superficial analysis of the agriculture industry may point to doom and a collapse of the way of life and status of the small and mid-size American farmer, I see a secular transformation that only can take place in the new world order. Half a century later, [Barb] Kalbach surveys the destruction within the section of chessboard she shared with other farms near Dexter in southwestern Iowa. Barb and Jim [Kalbach] are the last family still working the land, after their neighbours were picked off by waves of collapsing commodity prices and the rise of factory farming. With that came a vast transfer in wealth as farm profits funneled into corporations or the diminishing number of families that own an increasing share of the land. Rural communities have been hollowed out. I really, really don’t understand the people that are telling us that everything is going to be okay. Everything is not okay, and things are getting worse with each passing day. Indeed, all this news sounds grim and personally, I think it is satanic. But that won’t change the outcome. It is terrible for the existing shrinking pool of small farmers who do not understand basic NWO economics and cannot stay out of debt. While the government may placate them with small subsidy handouts, the dirty work is being done behind the scenes as the large corporations pick apart the farm belt and submerge it into their vertically-integrated holdings where low farm prices are ideal. The lower their prices are for their crops and livestock, the more profit they make. Independent farmers cannot keep up with that and are only one delinquent payment away from oblivion. The small farmer needs to make profit on their crops, the large corporation views the crops as just a production input. These large corporations will pick apart the foreclosure auctions and pay a high price for the land, because they can afford to. The world may look like it is collapsing, but it is only transforming. Most are in denial of the new world order. The unemployment rate is near all-time lows while the CPI has turned lower. The Fed has the green light to crank up QE again. By the time we entered 2013, it was becoming apparent that the Fed’s quantitative easing program was not as inflationary as once expected. In fact, it was clear to me that quantitative easing (QE) was actually adding a deflationary drag to the economy. The money was not moving to the person on the street and the economy was just being saddled with more debt. I wasn’t the only one who thought this way. In early February 2013, the prices of gold and silver broke through support levels and by April they had collapsed. All those fears came to naught. With this mind, I wanted to share a Bloomberg article titled, Low Inflation Is Federal Reserve’s Maddening Unsolved Mystery. I find its findings peculiar, because the author indicates that the Fed seems to be completely baffled as to why inflation is so low. I submit that the very programs that the Fed promulgated to help grow inflation have actually provided a deflationary force. 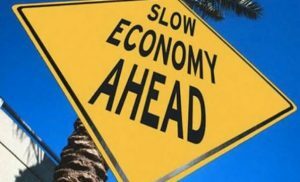 The slow-growing economy has been handicapped with a huge amount of fresh debt over the past decade and a greater percentage of economic activity has been devoted to servicing outstanding debt. Just because the Fed guarantees low rates and a sea of federal government red ink does not mean higher prices. It’s like a cold case that still baffles investigators. After years of rock-bottom interest rates and with unemployment at 3.8 percent, where is the inflation? It’s a whodunit that hangs heavily over the Federal Reserve. Since the Fed set 2 percent as its explicit inflation target in January 2012, its favorite gauge of prices — the personal consumption expenditures price index — the has averaged just 1.4 percent. Exclude volatile food and energy prices, and it noses up to 1.6 percent. To be fair, unemployment was high for some of those years, but even in the months since March 2017 when joblessness fell below 4.5 percent, core inflation has averaged 1.7 percent. Moreover, the puzzle pre-dates the recession. Going back to 1993, that gauge has averaged 1.8 percent. You can read on in the article to see that it points out a few ideas as to why the CPI has faded, including labor market slack, secular disinflation, and expectations of lower inflation. But at the core of the issue is one idea that will never be discussed; the loads of new debt generated during QE have helped to foster lower inflation trends. Lower interest rates reduces the cost of capital and thus, it is profitable for producers to continue to supply markets at lower price points. Think of low interest rates as a supply subsidy to manufacturers. Moreover, inefficient producers continue to stay in business. If we ever wonder why there is a fast food joint on every street corner, we have low interest rates to thank. If we wonder why gas prices remain muted, we have low interest rates to thank. There is a reason why the results of QE will never be blamed for lower consumer price growth. This is because QE has been chosen as the route the Fed will take once again to fight a slowing economy. Indeed, it is the preferred route for the elites to gobble up the global wealth. We don’t have to contemplate why Jerome Powell has been making more appearances lately. His latest 60 Minutes interview can be included. I suspect the Fed knows that their new rounds of QE will be much greater than what has already been announced. The elites need to keep the governments in business for the indefinite future and they will never renegotiate debt to their disadvantage. The tax payer always loses on this one. Don’t be astonished when we observe stocks and bonds rising at the same time. The markets are telling us something the Fed will never admit. Deflationary forces are mounting, interest rates are lower than they should be, and the Fed is about to embark on monetary policy that will only reinforce that trend. For those trying to figure out when the Force will be with us I offer some guidance. The Mobile World Congress recently met in Spain. 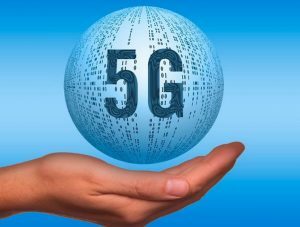 The consensus was that the US would have 5G technology in place by 2030. 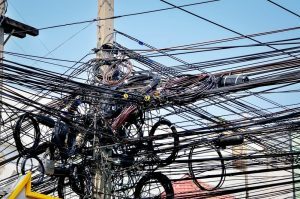 If people think 5G is just a faster smart phone they are misguided. It is the convergence of several highly invasive technologies. Facial recognition alone will put you on 24/7 surveillance. Chip implants, self driving cars and trucks, audio monitoring and even block chain is expected to be ready. I won’t go into low orbit satellites and the massive doses of radiation that penetrates your home and you. I have left some things out but to my point; All these groovy features seem to be intended for the post Force Majeure world. That said I’m not looking for an event prior to 2030. I don’t disagree with anything Dave says. If we make it to 2030, I guarantee we will see all these technologies in place. 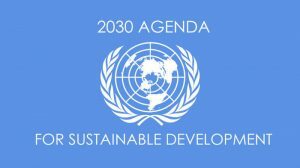 5G and the blockchain stuff would help to enhance the enforcement power of Agenda 2030. All this tracking and tracing will be in place to make sure we are all good global citizens, but whether we have to wait until 2030 for the force majeure is another matter. We may never even get one, but the odds are heavily in its favor. We should keep in mind that the elites now have the economy and monetary system on an IV drip. This IV drip can be removed at will and it kind of reminds me of someone kept semi-conscious on an IV drip of heroin. Regardless, the system can be maintained indefinitely, for a long time. The needle can also be removed next year if that is desired. 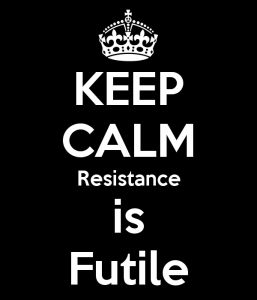 Whether there is an event such as Planet X hitting the planet in 2022, World War 3 in 2027, or the mark of the beast in 2030, we should keep in mind that this system can be maintained until then. I don’t have a lot of answers, but I have a lot of observations. And we need to keep an open mind. Thanks again. 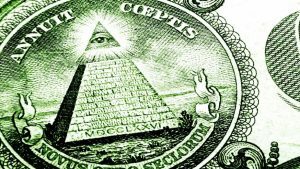 Is there an “Area 51” of monetary theory? There is an “Area 51” of monetary theory. We are being kept in the dark until it’s too late to resist. One more thought; I find it peculiar that there is a dearth of real solutions to the current monetary system being offered by TPTB and the monetary authorities. I have to assume that the elites are working feverishly behind the scenes to formulate a new monetary system. It will, of course, be even more satanic than this one. If this is the case, it needs to be kept under wraps, so it can be sprung on us with little resistance. With all this in mind, we need to remain patient and be prepared for a long wind down of this current system. Don’t listen to the collapse talkers who say socialism is going to collapse. The vast majority of humanity have already embraced socialism, perhaps under a different name. In fact, I read about the end-time government and economic system in the Bible and it sounds a lot like socialism. Be careful, the gloomers and collapse talkers have many things to up-sell the reader. If I had over 80k YouTube subscribers on a monetized channel, I could quit my job and get rich dispensing fallacious advice. The only ideas I dispense are those that can help the remnant ride out this growing problem without losing our patience and net worth. Are there real solutions that are better than QE? All the monetary programs that were designed to help the economy after the 2008 crash just made things worse for most people. Are there ways to actually turn things round? I mean are there any types of strategies that could really help the situation? These are great questions. I think we focus too much on the solutions that have already been offered up by the monetary authorities and forget to take a step back to reevaluate the issue. Indeed, as long as we concentrate on analyzing and criticizing the unconventional monetary programs (QE) already in use, we risk failing to analyze the matter in an objective way. We fail to come up with novel solutions that can actually address the shortcomings of QE. The ultimate objective of the Federal Reserve (and by extension the other private central banks) is to preserve the existing banking structure with its privatized monetary system and to do whatever it takes to perpetuate its existence. Everything else that the Fed and its apologists attest, including its public mandate of maximum employment and stable prices, are there for placation. For the most part, I have only researched the theory and the results of QE, so that we can find ways to stay ahead of the destruction it leaves in its wake. Indeed, we can draft up personal financial blueprints that can take advantage of the repercussions of QE, but I rarely come across any credible ideas to help the average person and which also provide viable alternatives to QE. The ultimate objective of the Federal Reserve (and by extension the other central banks) is to preserve the existing banking structure with its privatized monetary system and to do whatever it take to perpetuate its existence. So, despite any rhetoric to the contrary, all monetary policy programs will promote the current system over everything else, including lasting economic well-being. Considering the important long-run political and economic costs that aggressive quantitative easing policies will all too likely have entailed, it would not seem too early for the Federal Reserve to consider alternative approaches to stimulating the U.S. economy when it next falters. 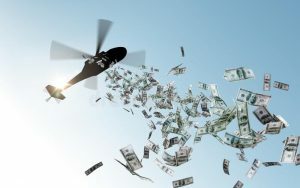 Among the ideas that warrant serious attention must be Milton Friedman’s famous idea of “helicopter money,” whereby the Federal Reserve would finance a government check to all the country’s citizens. Such an approach would more than likely succeed in stimulating the U.S. economy in a manner where all citizens rather than only a portion benefit. In addition, it would spare us from the creation once again of major distortions in both domestic and global financial markets that would only set the stage for the next global financial crisis. Mr. Lachman’s theory only addresses one half of the problem. Yes, the current QE strategy fails to properly stimulate price inflation, since the money does not go to the end user in the economy (you and me). Just because my assets go up in value does not mean I will spend more. It only means I have a larger net worth. In fact, items such as taxes, insurance, and cost of carry rise as the asset prices climb, so sending money to you and me directly would assist in stimulating demand more effectively. The downside with this plan is that it ultimately benefits the current banking system. Why? Because Mr. Lachman says that the Fed can finance this scheme. That means the U.S. Treasury will issue more debt. Thus, the money comes at a price – more debt. Universal income (UI) programs can be thought of as helicopter money. Both come with higher budget deficits as they are financed with offsetting sovereign debt generation. The owners of the central banks will attempt to promote them to the unwashed public over the coming years. UI programs may prove popular in the coming decades, since the citizens won’t understand the dynamics. But if a high enough percentage of the population is getting a UI stipend, the benefits get arbitraged into the system and become more muted over time. Essentially, it would cause inflation to living expenses by the amount of the UI, with offsetting debt to show for it. Think of UI this way; If everyday living expenses (LE) cost the average recipient (X), then in the long-run, under a UI scheme, LE = X + UI. The UI is injected into the system, which only raises the price levels of living expenses. Thus, the real benefits are canceled out, leaving only the sovereign debt that was generated to finance the program. Depends on the situation and the target/goal. If you are referring to the post 2008 situation, I’d say that the most obvious contender are negative interest rates. See Miles Kimball’s work for more info on how it works. This is where I think the world is heading. It is clear that the central banks will never cancel debt, because that would empower the average person at the expense of the owners of the banking cartel. So in order for the central bankers to keep their hold over the population they will experiment with negative interest rates on a global scale. On the surface, this may sound like a great way to eliminate existing debt, but if the 10-year UST is yielding -0.5%, but the CPI is coming across at a -1.0% clip, the real yield is positive. Besides, the level of public debt outstanding continues to climb. Thus, even if the interest rates sink into negative territory, this does not mean that the debt burden will be alleviated. The real rates will still be higher than inflation (or deflation) and the issuance of new debt will dwarf any benefits that accrue from negative yields. First, there are the distortions to asset prices. As bond yields fall, the prices of assets rise, all other things being equal. So, dropping interest rates may make the cost of carry to the existing debt load more manageable, but creates the lasting bubbles we see today. Second, suppressing interest rates also encourages reckless risk taking. In fact, artificially low interest rates are so toxic to the system, because recklessness overtakes prudence, so that the economy continues to get sicker and sicker. Thus, low interest rates makes the cost of buying things much more expensive. For instance, consumers need to take on larger mortgages for home ownership. Debt becomes more necessary for a greater percentage of humanity. Even if the interest rates are lower, debt is still debt, and if asset prices continue to rise then the debt markets expand to keep pace. The Fed… can lower OR increase the borrowing/interest rate on consumers if necessary. One example would be the 2008 U.S. housing bubble that burst. As for the second alternative, it would be deficit spending… Although deficit spending has worked throughout history, the major problem with it is that it requires a drastic increase in taxes and creates a huge burden on the public sector. Has deficit spending really worked? It has helped those with the assets, but the average wage-earner has been dying from a slow bleed. These ideas are frequently discussed within monetary authority circles, to the exclusion of everything else. The Fed can indeed lower interest rates and the federal government can increase deficit spending or increase deficits via tax cuts. The problem with these “solutions” is that these are the very monetary and fiscal policies that got us into this mess in the first place. These activities all involve issuing more debt. Even if the interest costs drop on outstanding debt, the debt burden continues to climb. We see that all the existing alternatives assist in perpetuating the current system. 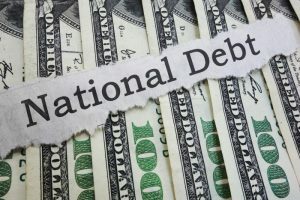 All the solutions I come across involve issuing more debt, lowering interest rates, or with unconventional policy, buying up all the debt that the public cannot absorb. Any real solution needs to involve some sort of debt repudiation or forgiveness. The debt level is the real problem, so until that is properly solved nothing will be able to take care of the current economic problems. The Fed’s solution of gobbling up sovereign debt only makes the problems worse. As the economy continues to suffer, the predatory monetary system devises more policy to address the problems they are causing. Furthermore, the owners of this monetary and banking system have usurped their control over the educational curriculum. Thus, independent thought and novel solutions never see the light of day. Whenever I come across any ideas from trained economists, they always refer to solutions that perpetuate the current system. Any independent thought is immediately eliminated from discussion. 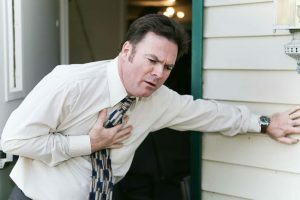 Until the private banking cartel is eliminated there will never be proper solutions to what is making the patient sick. The only thing we can do is work to stay ahead of the scam to enslave us all. Those familiar with my writings already know that the central banks will never again be able to normalize monetary policy. The policies of pre-2008 will never again be revisited. Prior to that time, there was enough traditional investor demand for the debt that the global economy generated. But that ship has now sailed. Since then we have entered a new normal; a world of crushing debt loads that will continue to rise every year, permanent central bank intervention, and historically low interest rates. Even in the United States, short-term rates will eventually fall below zero percent and the average person will be consumed under a debt tsunami. Longer-dated bond yields will continue to fall over time as well. As long as the central banks place the national governments under a permanent IV-drip, the average person will continue to be punished under ever-rising austerity. It may seem counterintuitive to conclude that interest rates will fall as the global debt levels build, and under the old normal, interest rates would be rising. But under the new normal, central banks stand ready to buy up any and all debt that organic demand cannot absorb. Moreover, to ensure ever lower rates, the central banks will always buy a little more than necessary, which will guarantee lower debt yields as time goes on. Thus, the world economy will be dwarfed by its oversized debt liabilities. The entire economy will continue to be dragged down as a larger proportion of the economic engine is devoted to servicing outstanding debt. Do not worry about debt repudiation. By the time the central banks have cranked up QE for another few years we will be wishing for government bankruptcy. The central banks will make sure that every dollar of debt is accounted for and held on the economy’s balance sheet, to be serviced to our deaths. Structural QE will sink the average debt-slave. Those who respond properly will prosper. This is all highly deflationary. Imagine a family that is consumed with debt. How much money can they devote to buying items? The answer is not much. Imagine a country that is consumed with ever rising debt levels. How much money can its citizens devote to increasing demand to drive up prices? The answer, once again, is not much. If we think these stimulus programs are doomed to fail and things will collapse in on themselves, all we have to do is look to Japan for an idea of how long the central banks can continue to enslave humanity. So far, the Bank of Japan has been dutifully buying up the entire Japanese economy since the early 1990’s. I am planning for the new normal; knowing that QE will be carried until every last dollar of economic activity is devoted to debt servicing. As this Bloomberg article titled, The Fed and ECB Confront a New Normal That Looks a Lot Like Japan’s, makes perfectly clear, the global economy has entered a new normal. “The developed world is at risk of mirroring the experience of Japan, whereby the very low equilibrium rate of interest appears to be a semi-permanent feature,’’ former Treasury Secretary Larry Summers and Bank of England Senior Economist Lukasz Rachel wrote in a paper published on Thursday. The actions by the ECB and the Fed fanned speculation that the central banks’ efforts to return policy to what formerly would have passed for normal is ending and their next move will be to ease, not tighten, credit. Policy makers in the U.S. and Europe are grappling with problems that have plagued Japan for decades: slow-growing economies and stubbornly low inflation, brought on by aging populations and lackluster gains in productivity. It is clear that inflation under traditional measures has not been rising and this gives the monetary policy makers the green light for the ECB and Fed to begin more massive rounds of QE. While inflationary pressures may look to be subdued, the cost of living continues to escalate. This is especially true for those who cannot control spending and stay out of debt. If Japan’s 25-year QE program is a failure, why was it copied and implemented worldwide? The BOJ’s decades-long stimulus policies have failed as intended, but are being promulgated worldwide. The elite and their controlled think-tanks publicly say Japan’s monetary policy is missing the mark. However, privately, the elites view the BOJ’s monetary “stimulus” and its continual war on price and asset market deflation as wildly successful. Through the Bank of Japan’s perpetual sovereign debt, stock, and infrastructure purchases, the elites have been able to consolidate their global wealth while publicly lamenting the shortcomings of QE. Japan’s decades-long experiment with unconventional monetary policy has been so successful, the elite decided to implement similar monetary policy strategies around the globe with their other major central banks. The elite see how Japan is suffocating under an ever-increasing debt millstone and rejoice. Through their QE “stimulus,” the elite have been able to consolidate their power and control over the economy, while concentrating the wealth into their hands. So, if we are to persevere and move forward in this new normal, we need to take action and respond to a world of ever dropping interest rates. Contemplate what lower interest rates will mean to our wages. Imagine what these ever growing debt burdens will mean to our cost of living. Imagine what lower rates will mean for asset prices. 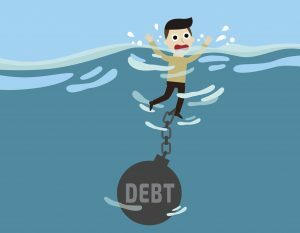 For those in boatloads of personal debt (debt that does not have offsetting income), life will be not worth living. While inflation may not be rising fast, the costs of living will escalate higher. Wages will struggle as businesses continually strive to increase profitability. Automation and efficiency will marginalize more people. The new world order’s open-borders agenda will arbitrage labor costs between high-cost and low-cost nations. As bond yields fade, asset prices will rise ceteris paribus, because investors will accept lower capitalization rates and IRRs, and higher P/E ratios. Any asset bust will be seen as a buying opportunity. The world will be awash in a virtually unlimited collateral pool of sovereign debt. Look to see the BOJ experiment become mainstream in the rest of the developed world. It has proven wildly successful to the elite. If we are to be one of the few to stay ahead we need to think outside the box, take on less personal debt and build an income-generating asset balance sheet. I received an email yesterday in response to my article titled, Investors pay up to $60,000/yr. for the same advice we give regarding the U.S. dollar, and wanted to share my response with you. The bank of Canada today kept their interest the same and are saying that they might lower rates in the future. Just like you said Chris, the central banks’ policies are changing. 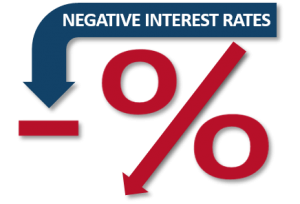 We might go negative [on interest rates] in the next economic downturn. Great call. Like I keep saying you should start a hedge fund or start charging for specific (ins and outs of real estate) financial advice. This really isn’t too difficult to understand if we take this overriding satanic conspiracy into account. Please know that our success rate in determining the future trends has as much to do with my economics background as it does with the underlying theme of my blog. Think of all our predictions going back to early 2013; they were all formulated based on my understanding of the conspiracy for the one-world financial dictatorship and its part in bible prophecy. I submit that this monetary system can be the end-time monetary system. We don’t need a collapse to get to the final days. This current system will suffice. I observe many well-learned market prognosticators get their predictions wrong, because they refuse to believe that there is this guiding hand. They chalk things up to stupidity, greed, or cycles. I have always said that understanding this conspiracy can be profitable. I have my blog, so I can show how other discerning people can navigate through these uncharted waters. 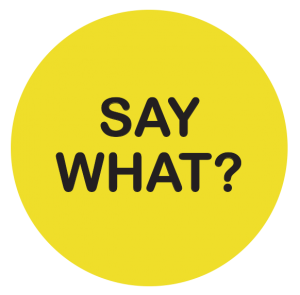 It is tempting to conclude that the wheels are coming off this wagon, but if we take a step back and observe the gestalt, we see a system that is actually working as intended… not for us, but to those who develop and promote it. They need to keep this system going to achieve their goals until they no longer need it. The elites need low and lower interest rates to achieve their desired outcome. 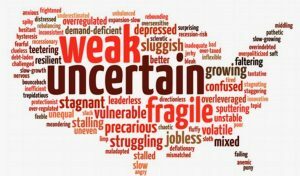 Thus, perpetual economic weakness and uncertainty are prerequisites. This system would collapse within several months if the elites allowed the yield curves to rise. Last year, when the Fed was determined to tighten, I wondered if they wanted to collapse the system as their policy was not adding up. I always kept it in the back of mind that the elites were not ready to let things fall as they would not achieve their desired outcome. They further their agenda by keeping the globe on a perpetual IV-drip of low rates and QE. I openly contemplated why the Fed and ECB were going down that tightening campaign. In hindsight, we know why. The Fed wanted to see how far it could go before things folded and we got that answer last December. I kept saying that in order to keep things going the Fed has to commence on QE and that the ECB, PBOC, and BOJ can never tighten and stop their versions of QE. They can never stop, ever again. There is too much sovereign debt generation in all the nations, not just the U.S. There has been an organic demand shortfall for sovereign debt since 2008. The central banks have been buying as much as needed to make up the difference and keep rates low. These low rates grease this system and promote higher asset prices. When I speak of asset prices, I specifically target income-producing assets like stocks, bonds, businesses, and real estate. I specifically target the dollar as the go-to currency under this scenario. Why the dollar? Credit austerity by the central banks promotes dollar strength. This all means that interest rates need to remain suppressed on all parts of the yield curve. Interest rates can never rise ever again. If rates on the longer end rise, this system is done. It is clearly evident that the elites need to keep it going for the indefinite future. All my investment choices are based on these suppositions. This conspiracy transcends our lifetimes. It goes back a long way, and this system is clearly entering its terminal phase. The elites knew all along that this point in the timeline would provide them the auspicious opportunity to consolidate their wealth and enslave humanity. Currently, they gain nothing by collapsing things now. They achieved much of what they needed by manufacturing last decade’s crisis. I do not get fearful and scared, since I know this is all part of the overall plan. I respond to what I see, and so should you. We need to remain detached and objective as we roll through these unique times.